TWO new bank fishing opportunities for you. 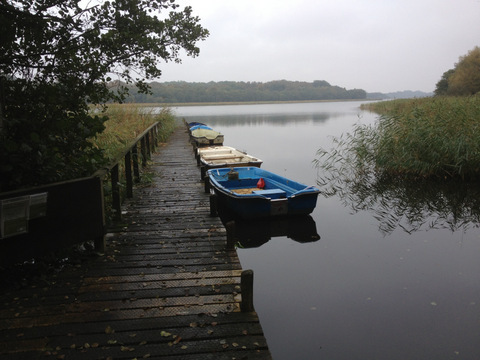 Both Station Lake, Lenwade and Bridge Lake Lenwade are open to all member until the end of the season. Bank fishing only and Bridge Lake also includes a stretch of river. Book with Phil in the normal way and he will give you further details. 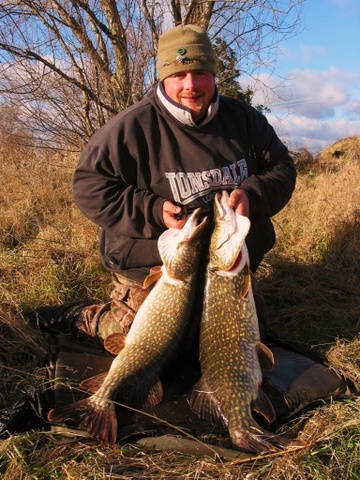 These lakes are not often pike fished so we have no idea of the real potential but David Rose knows them well and they definitely have both produced good fish in the past. P.A.C Coaching Day. N.D.P.C. in conjunction with P.A.C.G.B. will be running our third coaching day for young people on Sunday 24th February 2019. The venue is Taverham Mill fishery near Norwich and is free to participants. It is aimed at young people 8 to 16 years old. 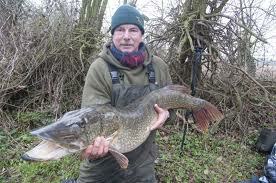 This will concetrate on trace making, unhooking pike and Wobbling (sink and draw) methods. It will be led by fully qualified angling coaches. Contact John Currie on 07776221959. Fish In on the Trinity System The club are once again organising a 'Fish In' on the Trinity broads system for Sunday 17th February 2019. This will be a boat fishing event with all methods except live baiting allowed. There are limited spaces available. The cost is only £20 per angler and will include a meal at the Filby Bridge Restaurant. If you wish to attend please contact Phil Cotton in the normal way on 01508 578701 to reserve your place. Further information will be sent to you nearer the date. CLOSE SEASON? A Chance to have your say, is it a good thing or bad? TRAINING DAY......We have another training day for Juniors (age 6 to 16). We are concentrating here on Dead Bait techniques and fish handling. Its at Taverham Mill Lake on Sunday 25th November 2018. Ring John Currie for more details 07776221959. SUMMER PIKING.....The recent soaring temperatures have raised the question once again. 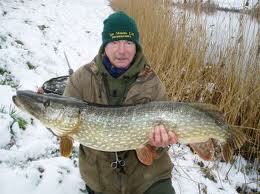 Should we really be fishing for pike when conditions suggest that some of the fish caught will not survive. Many experienced pike anglers and most environmentalists agree that pike fishing in hot weather will often end badly for the pike. The science is clear for all to see and although it is an individual choice, we as a Pike club have a clear resonsibility to offer guidance and recommendations for those who want to continue. but please think about the risks involved and follow these simple guidelines. Firstly think about where you are fishing. Shallow broads are obviously more effected and particularly those that have little or no tidal flow. Try to avoid bait fishing and if you do want to use fish baits please restrict yourselves to one rod. The likelyhood of deep hooking a pike must increase when you use multi-rod set ups. 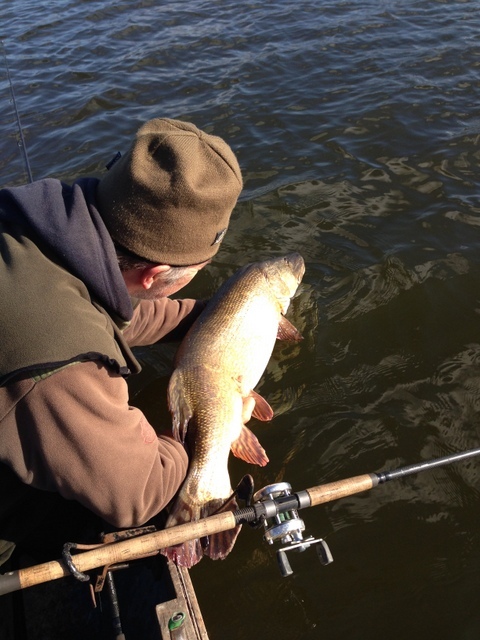 Try to unhook fish in the water, especially when air temperatures are high. Please refrain from weighing fish and taking pictures of all fish and keeping pike in sacks is never a good idea but in the summer months it can be fatal. 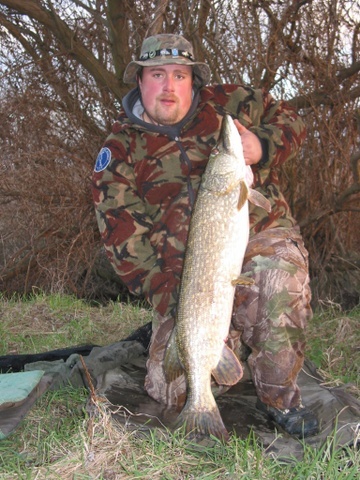 If you are new to piking please ask an experienced angler to show you properly how to handle and unhook pike and preferrably even wait until the weather cools off a bit. 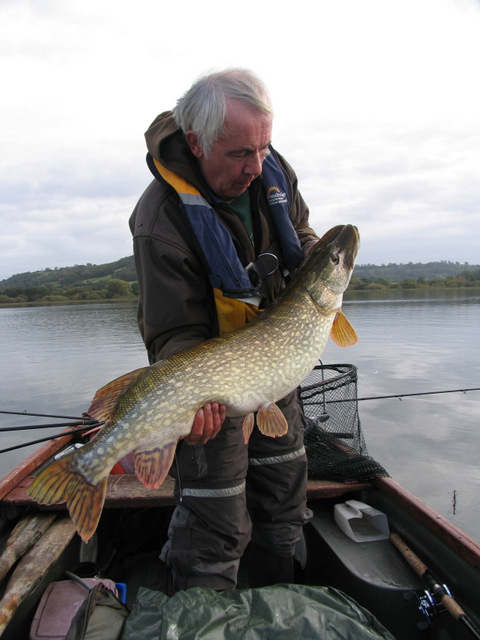 Bad fish handling in summer months kills more pike than any number of otters. So in a nutshell if you feel you must fish for pike in the summer, think about your approach and act responsibly so we can all enjoy many more years of great pike fishing in the best natural environment in the UK. The Pike of Broadland deserves better. "It's time for the summer’s favourite angling topic on forum, pubs, cafes and anywhere anglers gather summer piking". Do you or don't you? This article is been written to counter the various key board warriors who promote warm water piking on the Broads and dismiss all other counter opinions. They also conveniently have no science to back up there claims but a good deal of venom when challenged. This is not an attack on anyone who chooses to pike fish in warm water conditions it's more of a chance for them to read a science backed article to encourage them to perhaps have a rethink! I'm not trying to say it’s dangerous to pike fish in the summer in deep northern waters or anywhere that has no problems with low do levels or summer pike fatalities. In Norfolk we have over 800 hire craft cruisers who plough up and down the broads system bringing in much needed tourism money. 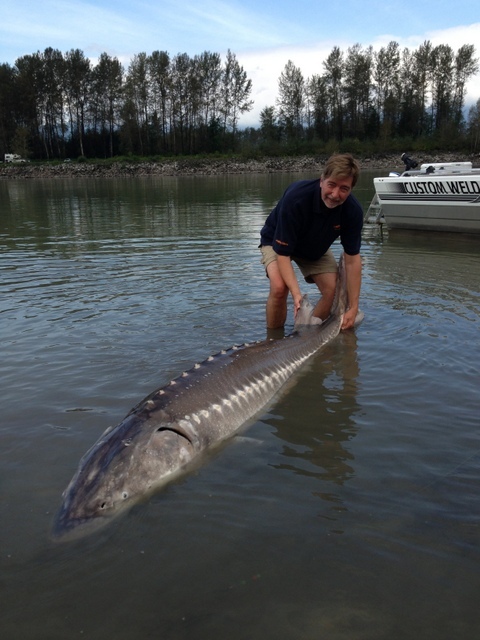 They also bring in a huge amount of casual anglers. A lot of these visitors will be trying out fishing for the first time with tackle bought on impulse at the local shop, it could be woefully incapable of handling a decent pike and pike mortalities are common .It's easy to suggest they could Google some info on what to do and some will do that, but on the whole they just want to expand on there leisure time and catch some fish. Sadly when they encounter the teeth and a fish bigger than the cod at the chip shop panic ensues. Cutting the line is the commonest option or running for help and advice, so normally we have a dead pike. We also have the component anglers who has paid for there holiday and will pike fish even though he has factor 50 on his skin and is weak in the heat. We will also have the lads who just don't think there is a problem with fishing in warm water. So all in all a vast amount of pressure on a declining pike. I will be referencing various papers and they will all be mentioned at the bottom of the article, I hope you find time to read them. So to start the favourite reason summer pikers use is they fight better in the summer. They also use up much more energy in doing so than they do in cooler water conditions .This stress can be fatal, or at the very least cause the pike distress that can affect its growth rates and have a negative influence on egg reproduction. They will also be placed back in water that could be dangerously low in dissolved oxygen; a common quote is I held it in the margin till it swam away strongly. The shallows margins which would be lowest in do levels! That’s another favourite they all swim away strongly. Professors Marika Gale and Robert Arlinghaus have used the same expression during various trials on stressed fish, Roberts papers show pike taking up to 72 hours to die after exertion, these fish were been monitored and observed. Both scientists strongly advise not to fish in warm water conditions. 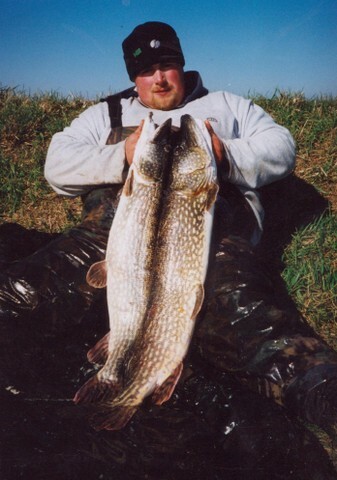 We also hear of none of these pike dying and the summer piker telling us he has never had one go belly up. oh yes and loads of recapture. Sorry but how do we know about regular recaptures unless its photo evidenced or the fish is easy to recognise, I agree that is applicable in the winter as well but we don’t see the mortalities we see in the summer so not really applicable. The Chinese paper clearly shows higher temperatures and exertion do not end well for the pike. Hepatic glycogen decreases with higher temperatures; hepatic glycogen basically gives the pike energy. So your hard fighting summer fish is taking far more out of itself in the fight compared to winter. Acid phosphates and alkaline phosphates are weakened in the hepatopanceros when water, temperatures are increased. Once again not great for our hard fighting summer pike. 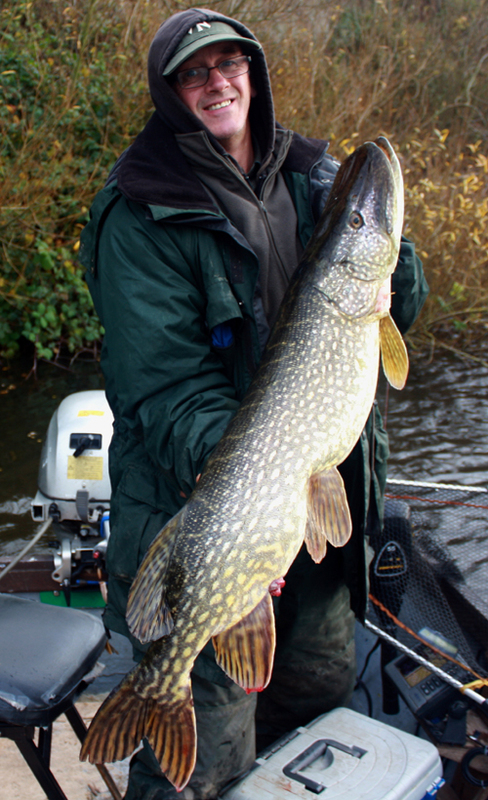 The netting paper clearly shows pike mortality increases when water temperature increases. In e mail discussions with various other fisheries scientists it has been mentioned we need to know more about the affects of some common algae on pike. It has been mooted these could also be weakening them in summer. I passed this theory by professors at the John nines centre and Norwich Science Park who pointed out no papers existed on the subject but it was possible and plausible. So please when Jo down the pub tells you it's safe to fish for Pike in warm water conditions please ask him to contact me with any proof he has that it is. 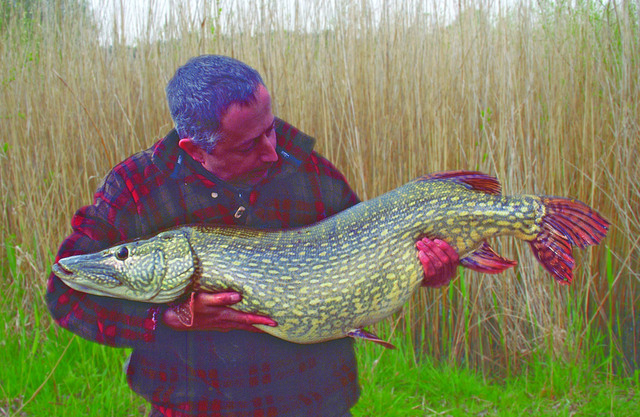 Basically he is basing his opinion on never seen his pike going belly up and them scientists blokes are full of crap!. I could end with some average temperatures it is worth taking note of but my fear is the problems are not so precise to a decree or 2 so I would prefer you weigh all the above up and do not fish in warm water conditions. STOP PRESS.....The latest addition to our offer is another boat on the Bure. We already have Ranworth, Horning and Wroxham and now we are proud to announce we have covered the river by taking a Mooring at Coltishall, this is a great location and takes you through to Horstead Mill where I cut my teeth pike fishing. Down stream takes you to Belaugh and beyond. For location and booking talk to Phil Cotton. I think there will be a rush for this one. STOP PRESS.....We have arranged a "Fish In" at Fritton Lake for Sunday 29th October 2017. Meet at 8am and start at 9am until 2pm. Refreshments provided afterward at the Marquee on site. The cost for the day is £20.00 per angler (including the grub). STOP PRESS.......We have arranged another open evening at Avenue Angling Beccles. All tackle will offered at a discount of at least 20% (excluding bait). This offer is for members only but we can take new memberships or renewals on the night. Avenue Angling will also take in decent tackle for part exchange or cash. The event is on September 21st between 6.30 and 9pm. Light refreshments will be available and it will offer a great opportunity to meet other members and support our main sponsor who have given us fantastic support over many years. So do yourself a favour and grab yourself a bargain for the new season. The list of Guest Speakers include Dave Horton Phil Turton and Sie Blades and with Trade Stands and a chance to chat to most of the movers and shapers of the Pike Fishing scene in the UK this is a day you really should not miss....We will once again be promoting our club and signing up renewals and new mambers alike.....hope to see you there for a great day. STOP PRESS....Our First Guest speaker for 2017 was the legendary Mr Martyn Page. In his normal modest fashion Martyn called his talk "The Incomplete Angler"....Martyn needs no introduction....Tackle dealer, Author and great pike angler, it was another terrific night. "Thanks for your support Martin"
STOP PRESS.....Avenue Angling and the club have organised a special club night at their Ellough Store near Beccles NR34 7TE. Its on Thursday 29th September between 6 and 9.30pm. At least 20% Discount from RRP off all items and up to 65% discount on selected predator tackle. Great Discounts on Shimano, Diawa, and many other makes. A great selection of deadbaits including Turbo Smelts. We are also arranging "TRADE INs" on the night so bring along your un-loved rods, reels and alarms or anything other tackle you wish to upgrade. Avenue Angling have been our best trade supporter over the years and we once again thank them for their continued support. The evening is strictly NDPC members only, but we can take new applications for membership and renewals on the night. We look forward to seeing both new and existing members on the 29th. Refreshment provided. STOP PRESS....We have just secured yet another new mooring at Ranworth. Its a fabulous spot at "The Granary" Malthouse Broad NR13 6HY...Please book it with Phil in the normal way. STOP PRESS....We have just secured a mooring at Upton Dyke and at the same time we have purchased yet another 14ft Sea Strike that will fit the bill nicely. This gives you great access to the Bure around the Thurne Mouth area and is a welcome addition to our growing fleet. STOP PRESS.......Just upgraded one of the Sportsman boats to Aluminium and at the same time secured a 3rd boat at Filby.....onwards and upwards we go. JASON DAVIES....Our final guest speaker for 2015 was none other than JASON DAVIES. On Monday 7th December at the Angel PH Jason gave us a fascinating insight into his fishing career. Not only fish with sharp teeth either. Jason's obvious ability to succeed in so many strands of our sport was extremely impressive. Plenty of 30lb pike along the way obviously but speciman Perch, Zander, Carp, Tench and Barbel have all fell to his efforts. Even Porbeagle Shark made an appearance with a series of films showing how these magnificent creatures can be tamed on rod and line. I should also make the point that all proceeds were to our Prymnesium Appeal with Jason refusing even expenses for his efforts. STOP PRESS.....Two more boats have just been introduced. The first is moored at the Kings Head PH Wroxham and the second at the Pleasure Boat Inn at Hickling. So that gives us two boats on both the Bure and the mighty Thurne systems. To book either just give Phil Cotton a call. 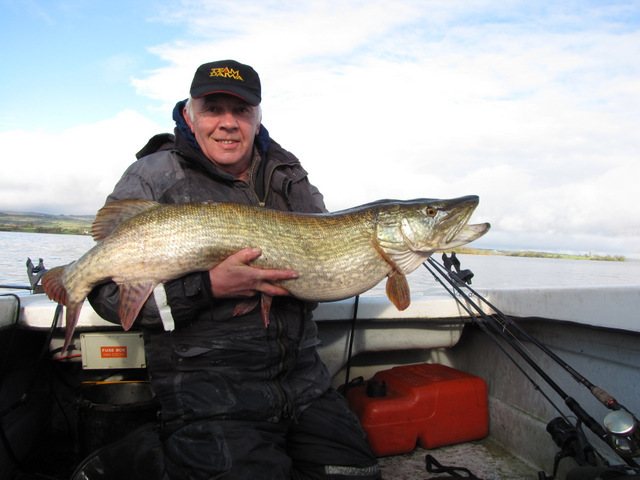 DAVE PUGH..... our last guest speaker of 2014 was the legendary lure angler Dave Pugh. It was a great turnout on a cold night and I know from the members reactions and the number of books Dave sold that this was a very well recieved presentation. Dave's talk was called "LURE FISHING FOR BAIT ANGLERS" and I for one thought it was excellent and as a keen lure angler myself the amount I picked up from the discussions has certainly opened up possibilities for me in all sorts of ways. 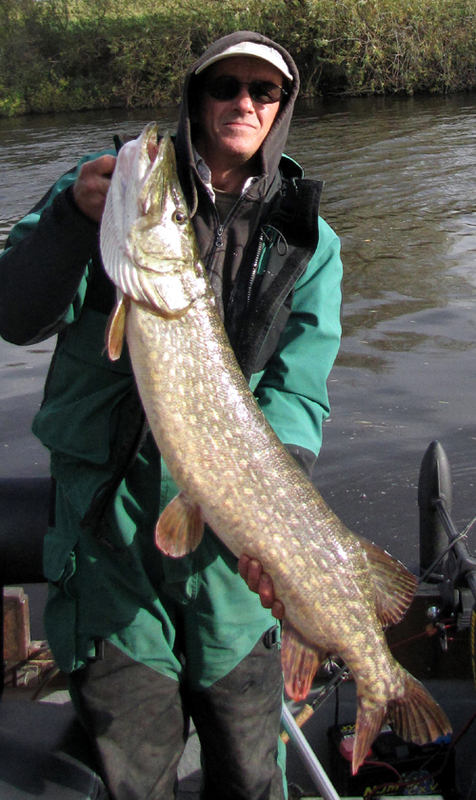 Much of Dave's phenomenal success has been from the rivers Severn and Warwickshire Avon, where since 1989 his results with both Pike and Zander on Lures is the stuff of Legend. For the last 12 years in particular Dave has concentrated almost solely on Lures. Dave's recent book "Lure fishing Presentation and Strategy" has rightly been acclaimed throughout the Pike fishing world. The book is completely experienced based with none of the daft theories often seen in books about Lure Fishing. Dave believes that fishing with lures is not at all complicated, but it takes time and a lot of effort to put everything together, building enough experience to be confident at catching with lures every time you go out. The theme of the talk was to give us a start and talk about how fishing with lures can help predator anglers who normally fish for pike with live and dead baits improve results in their home waters......... A great talk and our thanks to Dave & Seb Sheldon for making it possible. broadsappeal@pacgb.co.uk Thank you for your support. We need to keep the pressure on the governing bodies on the subject of Prymnesium. A series of grants (which have now stopped) enabled us to employ world renowned expert Johaness Hagstrom and his findings highlight the very real danger to the upper Thurne fishery if another major "bloom" occurs. It is now left to us to raise the additional funds necassary to complete this research and save this fantasic water from a potential disaster, effecting fishing and in the broader sense tourism in general. We must act now and any help you can give will be hugely appreciated. STOP PRESS.....Continuing our policy of upgrading our boats. 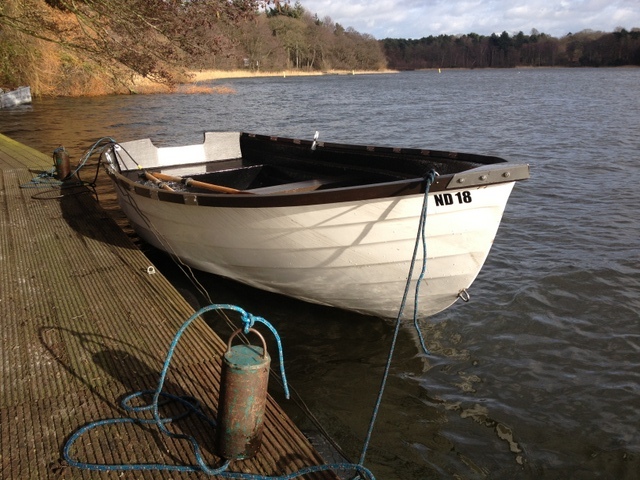 Oulton Broad is the latest boat to be renewed. Its another 14ft Seastrike Aluminium beauty and its already up, running and available for club members. To book it out just give Phil Cotton a ring. Due to popular demand, we have introduced paypal to make it even easier for members to join or re-join our club. Simply send your £55 fee to my personal paypal account on sales@nexusnorfolk.co.uk and mark on your application form "Paid by paypal" and we will do the rest. Please ensure you put your own details with the payment (and not just your "nickname"). So now you have no excuse at all to join the best club in pike fishing and make 2015 the year you really take advantage of some of the best fishing in Britain. As you know our close season on the broads is from March 14th to June 16th so the majority of boats will not be available. However for those who want to bank a few specimans during this three month period we still have two venues where fishing is still open for business. Fritton Lake offers you a boat fishing opportunity for those who prefer their fishing from afloat. STEVE RODWELL (RODDERS) was our special guest on March 3rd....and dispite a few technical gremlins Steves attitude to catching big pike shone through and showed why he is one of the most successful pikers in the modern era. The Royal Norfolk Show Ground in Norwich. The NDPC team did a brilliant job again and the club was rightly praised for its efforts. 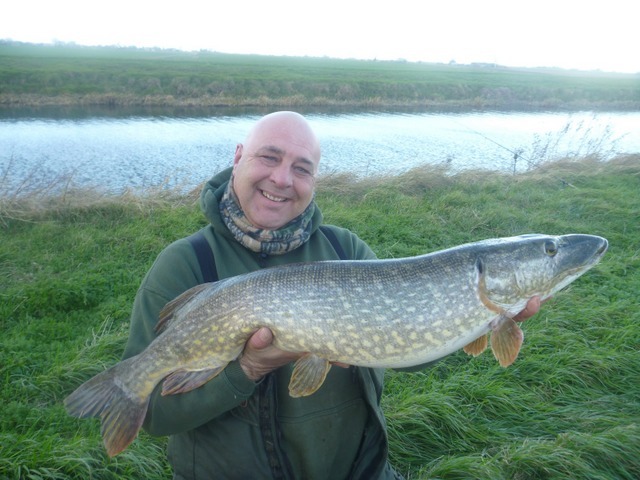 Mark is well known to all of us for his all round angling knowledge and experience. He features in weekly and monthly fishing magazines and has a succession of well recieved books. His presentation was enjoyed by everyone! Not just for his pike fishing exploits but his all round angling experience fishing for Carp, perch,Tench, Zander and Rudd......great night. STOP PRESS We have just secured pike fishing rights for the Taverham Mill complex in Norwich. Fishing is all the year round and with four lakes and some river access this is a really exciting aquisition. 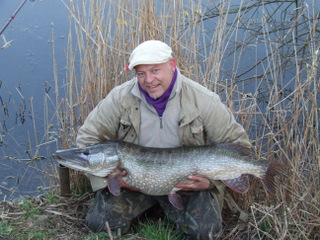 You must book through Phil Cotton as usual and there are a maximum of two anglers at any one time. Members must always carry their NDPC membership card as you may well be asked to produce them. 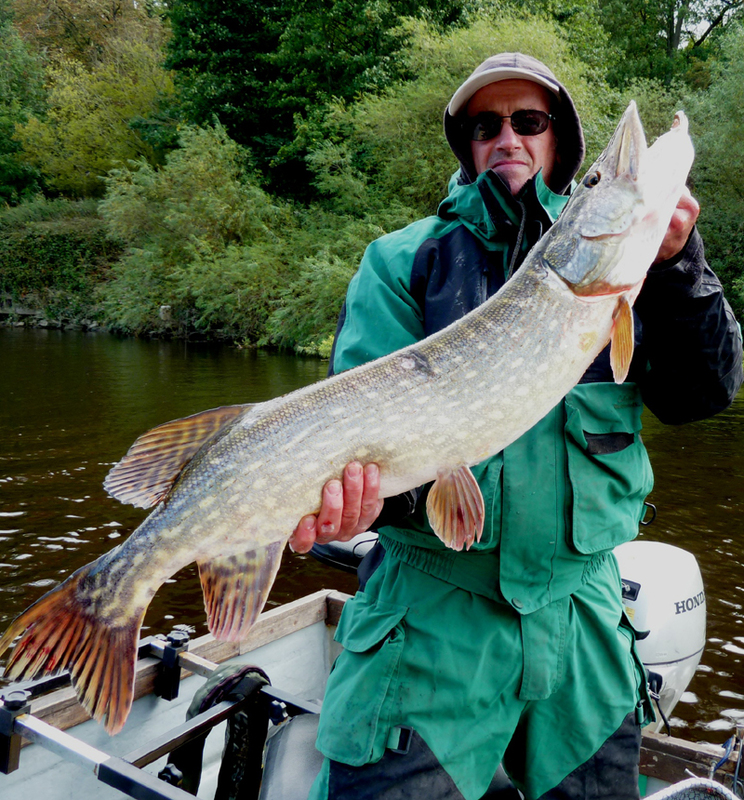 This is a bank fishing opportunity to suit all pike angler on waters that are seldom targeted for pike. The waters have all produced big fish. I for one will be giving it a go when the water cools down a bit. The waters are one mile of the river at Taverham Mill, the three pits that make up Costessey pits 1,2 and 3 known locally as "The Ski Pit" "The Greenhouse Pit" and "Number 3"
STOP PRESS Exciting news on our boat fishing page, with new boats and new moorings being announced for the coming season. We have installed new boats on Oulton Broad and Fritton lake. 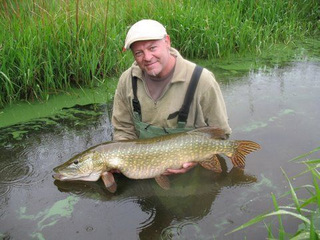 Neville needed no introduction as suffice to say he has caught more big pike in the UK than any other piker in history. The presentation plotted Neville's fantastic career spanning a few months short of 50 years of catching Pike and a very good turn out witnessed Neville in great form, top bloke, terrific night and very inspiring pictures of massive pike. A couple of statistics that illustrate why Dave is rated so highly. More than 22 thirty pounders from ten different waters and twenty pound pike from ten different rivers....What a Piker!
. . . Killer shrimp is now a real threat on the Broads - please remember to "Check Clean Dry" without fail . . . 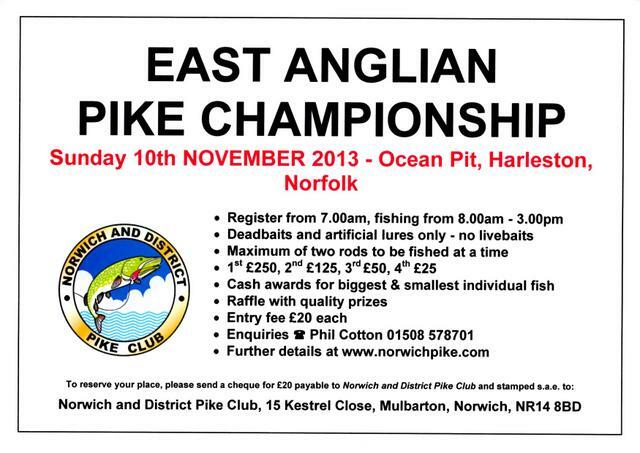 Thank you for visiting the offical website of Norwich and District Pike Club. If you're interested in the pursuit of the supreme freshwater predator, then joining us could be a smart move. Members have access to the club's own boats on some of the finest river systems in the country without further payment. Please use the buttons on the left to navigate around our site.